Property Search, On The Go! 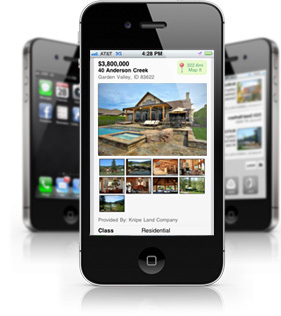 Search for homes and properties anywhere, anytime right from your smartphone! Our easy to use app makes searching fun and intuitive. All the property details and the highest resolution photos available. Click the buttons, or scan the QR codes with your phone.